Welcome to the Academy; your resource into Vainglory. Explore content in sections as below or utilize the utility bar to search for answers to specific questions. In one way or another, each hero is here because of the Halcyon Well. This ancient energy source provides incredible power for both technology and magic. However, the well only releases this energy on rare occasions, and these heroes must fight for control if they want to capture the energy for themselves. The stakes are too high to fight alone. Some heroes arrive with family or faction, while others form uneasy alliances. Together they forge three-person teams ready to meet their opponents in battle. 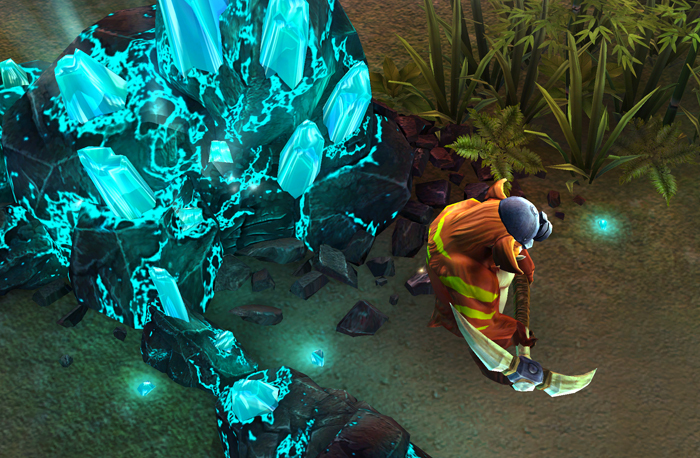 Each team has a massive Vain crystal used to store energy from the well. 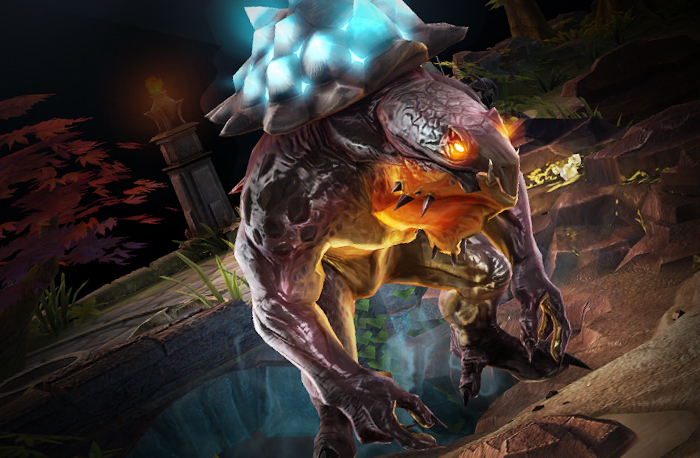 Take down the enemy’s defenses and shatter this crystal to win the game. At the center of each team’s base is a massive Vain crystal. These crystals are both rare and fragile, so our heroes — as well as factions throughout the world — have constructed elaborate defenses. If you can shatter the enemy Vain crystal, you will be victorious. 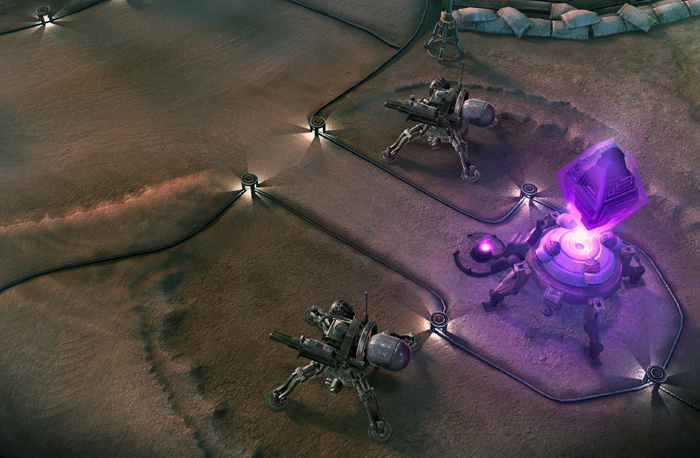 The crystal is invulnerable until the turrets defending it have been destroyed. By extension, turrets are invulnerable until all turrets beyond them are destroyed. The only vulnerable turrets at the beginning of the match are the ones farthest from each base. The Vain will frequently summon minions to its defense. Like moths to a flame, these minions will continually move toward the enemy Vain, attacking anything in their path. Where these minions collide, an eternal battle rages on. An item shop is available at the Sanctuary. Make sure to spend your gold anytime you’re visiting. Heroes at the Sanctuary will rapidly recover health and energy. Wait until you’re healthy before leaving. Heroes at the Sanctuary take reduced damage. Use this to recover when defending your base. When you’re low on health or need to spend your gold, find a safe place and tap the Teleport Home button. After you finish charging, you will return home. Your teleport will be cancelled if enemies damage you or if you perform an action such as moving or attacking. The lane is the long stony path along the top of the Halcyon Fold. Because the lane connects the two opposing bases, each team’s minions march along the lane under the protection of their turrets. Minions are a great source of gold and experience. 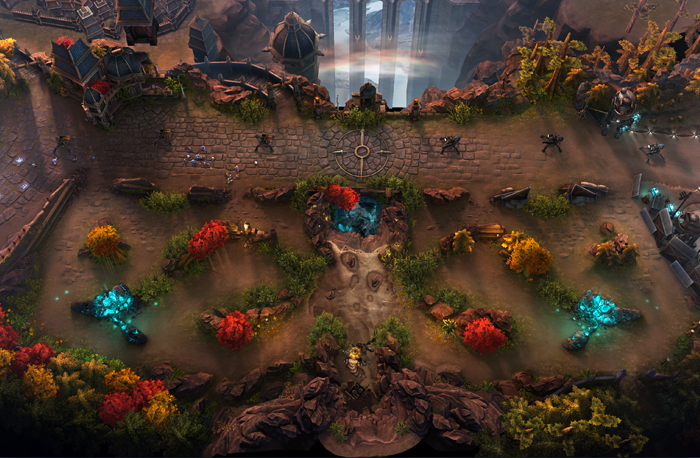 Additionally, the lane offers protection for many ranged heroes. We recommend having either a Mage or Sniper hero in the lane during the early stages of each match. The only way to earn gold from minions is by landing the killing blow. Since enemy minions are also being attacked by allied minions and turrets, you will need to master your timing to get the most gold from the lane. Keep an eye out for minion health bars that appear much brighter than others. This means your basic attack damage is definitely high enough to land the killing blow if you strike quickly. Keep an eye on the golden ring at the center of the lane. During the first few minutes of the match you’ll want to stay on your side of this ring whenever possible. Move past the middle only when you have allies nearby. Almost everyone who’s played MOBAs remembers their first experiences with turrets. This is mainly because this first experience often involves a quick and painful death. 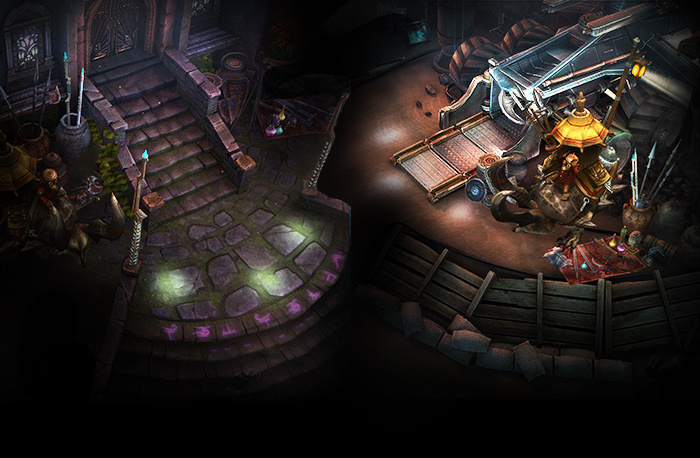 Turrets serve a wide variety of purposes in Vainglory. Among other things, allied turrets give you a safe place to fight from early on during the match, particularly when dealing with very aggressive opponents. Always be mindful when you see an enemy turret nearby. They are absolutely deadly. However, when you do need to approach them, keep the following three rules in mind. Make sure allied minions approach turrets before you do. They’ll take the shots so you can attack. Fall back before your last minion dies. Turrets will attack nearby heroes when there are no minions. Turrets will immediately target you if you attack an allied hero. Monsters are neutral creatures that live in camps throughout the jungle. They have no loyalty to either team and prefer to keep to themselves. These creatures are great sources of gold and experience, so your team will need to hunt them to keep an edge on your opponents. The only way to earn gold and experience from monsters is by landing the killing blow. Be alert for opponents who may try to sneak in and kill these monsters as they will take the rewards. Monsters always reappear in the same locations. A little while after killing the monsters in a camp, the same camp will come back, offering you another chance to loot them. Monsters will not abandon their homes. If you pull any monster too far away from where it began it will immediately turn around and regenerate health rapidly. Monsters that have not been killed recently offer slightly better rewards. If you happen to forget about them for a while make sure to go back and loot them before your opponents do. It’s best to kill single monsters when you’re already missing some health. Consider killing monster pairs first. Is a nearby ally low on health? Let them land the killing blow on a single monster so they can get the health regeneration. If you see that your opponents are spending a lot of time outside their jungle, consider invading their jungle and looting their monsters. This can set the enemy team back. Even a small gold advantage can make a huge difference in the long run. The shop at the center of the jungle offers a convenient place for both teams to buy items without having to return to the Sanctuary. This shop stocks the same items as the shops inside each base. While the location is fantastic, it’s also risky. Stay inside the brush while shopping and move on quickly to avoid being attacked by enemies.</li> <li>Time is money. If you spend too long shopping, you’re missing out on gold you could be earning elsewhere. Plan your purchases ahead of time. Your team can capture a Minion Mine by killing its miner. Each mine you control will increase the strength of newly summoned minions in the lane. If your team controls both mines, your minions will be at maximum strength. 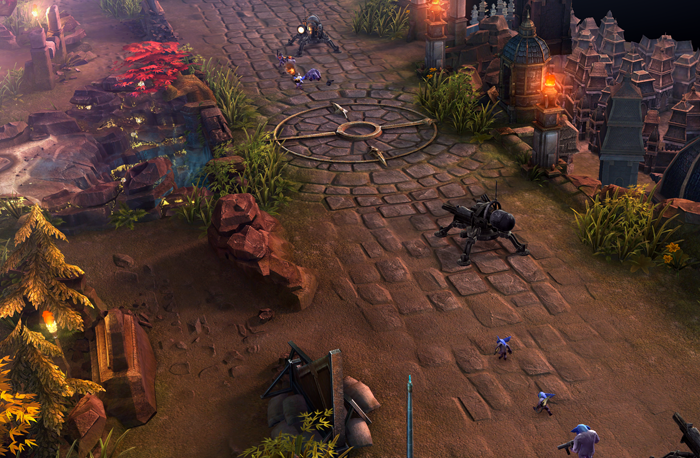 To continue gaining the benefits from a Minion Mine, your team will need to defend the mine when enemies attack it. Your minions will lose their increased strength if an enemy steals your mine. Minion Mines are not always good to take early on. 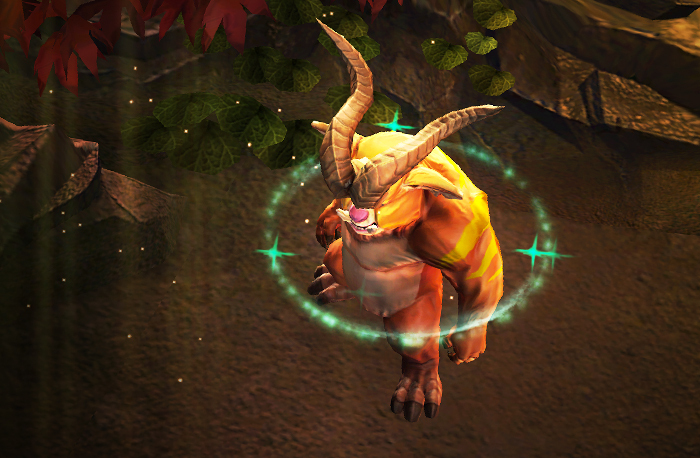 Strengthened minions can overwhelm their foes and push right up to the enemy turret. 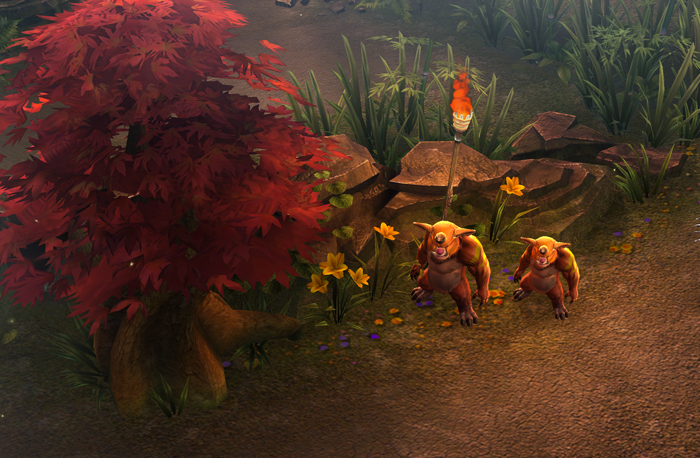 This may leave your lane hero with an impossible decision: Move in range of an ambush or give up on gold? Your team can capture the Gold Mine by killing its miner. When captured, everyone on your team receives a cut of the gold bounty currently in the mine. Keep track of the size of this bounty by watching the dial in the center of the mini-map. If you continue to control the Gold Mine for a full mining cycle, your team will automatically receive a gold payout. To make sure this happens, defend the mine from the enemy team and try to keep them distracted when the Gold Mine is almost full. It’s generally a good idea to wait until the gold mine is about two-thirds full before moving in to capture it. However, if your enemies have an edge and you want to prevent them from getting a large payout, grabbing it when you have a safe opportunity is fine. Eventually, the Gold Miner digs too deep, awakening the Kraken. This dangerous creature kills the Gold Miner and takes his place. A team can capture the Kraken by attacking it, though this will often require the help of teammates. The team that strikes the final blow is the team the Kraken will fight for, so heroes should also be aware of where their enemies are. 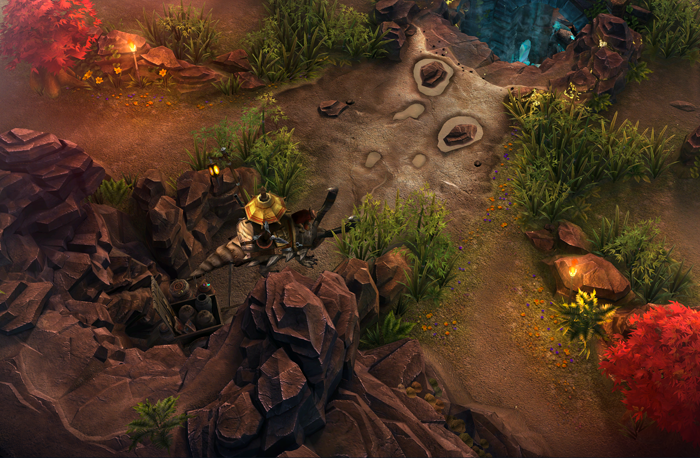 When captured, the Kraken will fight for its team, rampaging to the lane and attacking enemy turrets. If left unchecked, it will leave a path of destroyed turrets — and potentially the Vain itself — in its wake. If the defending team stops the assault and slays the Kraken, each defending hero will earn a significant gold bounty. The hero you bring into battle comes with his or her own strengths and weaknesses. Great teams are built by choosing heroes that improve each other’s strengths and help cover each other’s weaknesses. These guidelines should give you an idea which heroes are recommended in the Jungle and the Lane. They should also give you a broader understanding of how each of the primary roles work together in a team. Oh, and by the way, none of this is set in stone. We recommend experimenting and trying new strategies when playing with your friends! Choose a Sniper or Mage. Snipers and Mages often sacrifice defense for their long range. While this is dangerous in the jungle, where close-range ambush is likely, it’s a benefit in the lane. This is because their long range lets them stay near their turret while attacking minions further out. These heroes are able to focus on landing killing blows on these minions to earn gold. Additionally, the wide-open lane often gives these heroes more warning when opponents enter the area, giving them some time to back off. It’s important to have a Sniper or Mage when attempting to take down enemy turrets later in the game. This forces defenders to move out much further when attempting to stop the siege. Choose a maximum of one Protector. Protectors are ideal partners in the jungle, able to help kill monsters, check for danger and move to the lane to provide cover. 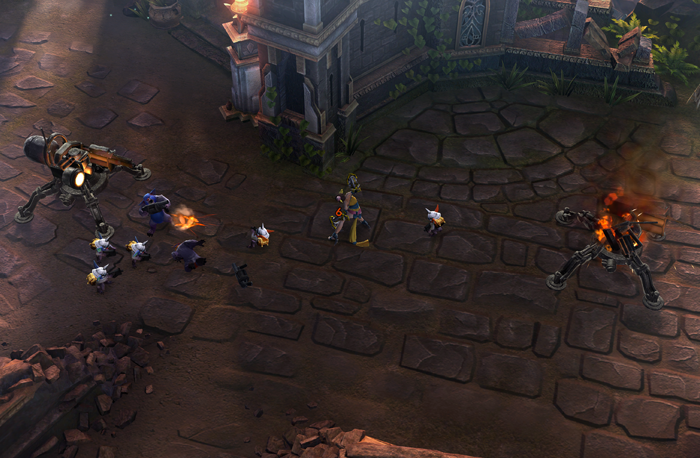 Later in the match, these heroes can keep allies alive while preventing opponents from fleeing. Having more than one Protector may reduce your team’s overall damage too much, making it harder to defend your base or stop the Kraken. Choose a maximum of one Assassin. 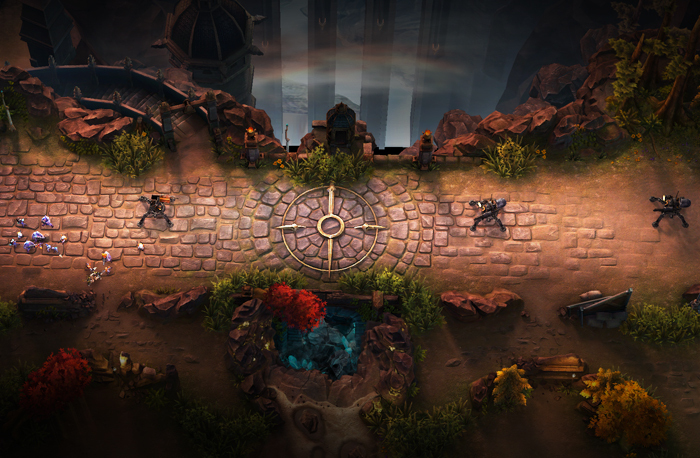 Assassins can clear the jungle quickly and set up ambushes from its many hiding spots. To stay ahead of their opponents, they should focus on killing monsters while keeping an eye out for targets of opportunity. While their damage is high, their low defense makes them vulnerable to stuns and bursts of damage. This means that letting allies begin fights may be necessary to set up the ideal conditions for a kill. A team with two Assassins may lose this option, making it very difficult to handle enemy heroes that are sticking together later in the match. Fill any remaining spots with Warriors. Last but certainly not least, Warriors offer a balance of damage and defense, making them strong allies for any team. Like Assassins, they can clear the jungle quickly and can set up powerful ambushes. Like Protectors, they’re comfortable at the heart of a fight. It’s perfectly okay to have two Warriors on a team, and it’s also perfectly okay to match a Warrior with either a Protector or Assassin. If you want to buy heroes, skins or cards for Vainglory then head over to the in-game Market! Whether you shop the Market on iOS or on Android, your purchases are shared across all devices as long as you use the same Vainglory account. ICE is the premium currency in Vainglory and can be used to acquire heroes, skins and cards. You purchase ICE for real money. When you purchase ICE in Vainglory, the game will use the method of payment you have on file with Apple for iTunes and with Google for Google Play. For more information on in-app purchases through iTunes, see Apple’s iTunes Store: About In-App Purchases support article or Google’s Buy in-app items support article. 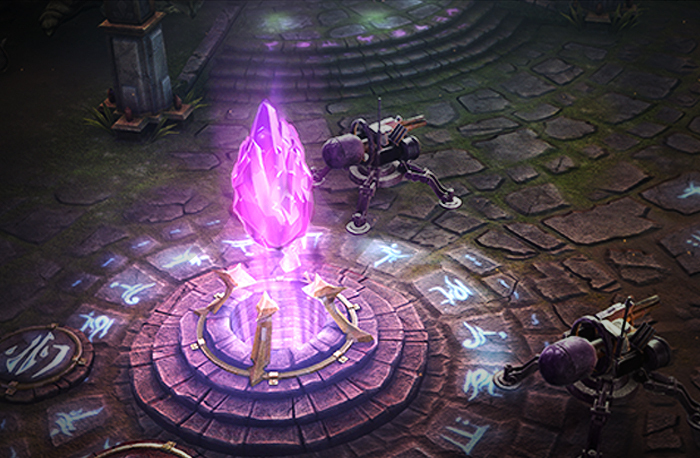 Glory is the free currency in Vainglory and can also be used to acquire heroes, skins and cards. You earn for free Glory by playing the game. You can earn more Glory with good behaviour, which is reflected by your Karma score. Karma is gained whenever you complete games and is lost whenever you abandon them. Each Karma level increases Glory earnings from regular games. You can check your Karma score on your player profile. You can also earn extra Glory every day by completing the daily achievements. There are three daily achievements, each rewarding you with increased amounts of Glory. Complete the “First Win of the Day”, “Third Win of the Day” and the “Sinister Seven” daily achievements for bonus Glory. You can find more info about the requirements, rewards and your progression on the achievements on your player profile. 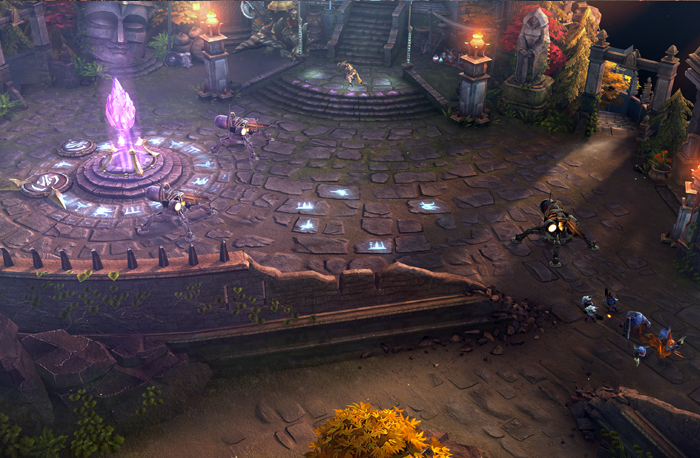 Vainglory has many heroes, each with an unique set of abilities and roles to play in the Battle for the Halcyon Fold. The heroes you and your team members bring into the battle each have their own strengths and weaknesses. You can build a great team by selecting heroes that use each other’s strengths and compensate for each other’s weaknesses. You can find all the heroes in the GET HEROES section in the MARKET. You can use the premium ICE currency or the free Glory currency to unlock the heroes. The GET HEROES section is also a great place to read up on the heroic perks, skills, and stats of heroes so you can make an informed decision before buying the hero of your liking. Another great way of collecting cards is by getting Card Packs from Boxes! You can find the Boxes in the GET CARDS section on the MARKET. The number of the cards that are available in a Box is limited as each Box on the market contains a finite number of cards. By spending the free Glory or the premium ICE on a Box you pull a Card Pack from the Box. Each Card Pack contains 4 cards as a reward. The cards for the Card Pack are drawn on a random basis from the Box. Each time a Card Pack is pulled from the Box the likelihood of getting a specific card increases as the number of remaining cards decreases. Before you spend your hard earned Glory and valuable ICE you may want to take a peek inside the Box! To help you make sure you can go after the cards you’re looking for we allow you to take a look inside and check out the contents of the Box. You can see all the cards you have drawn from the Box so far and which cards are still remaining inside. These are the Boxes that use Glory as a currency to get Card Packs. 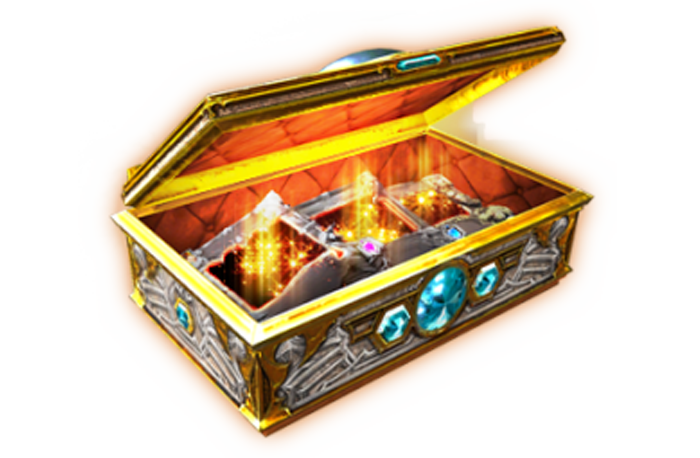 In the Glory Boxes you can find Common cards as well as a combination of Rare, Epic and/or Legendary cards. Tip: use the Peek in Box option to inspect the content of the Box. Acquiring cards from the ICE Boxes uses the premium in-game ICE currency. The likelihood for acquiring high rarity cards is increased since the card content of the ICE Boxes exclude Common cards and only contains Rare, Epic and Legendary cards! Tip: use the Peek in Box option to inspect the content of the Box. Boxes are only available for a limited amount of time and each Box may be on a different timer. Each Box in the Market shows the remaining time for that Box. Once the timer expires the Box is removed from the game and you will lose the progress you made on the Box. If you were after a specific set of cards you may want to make sure you get them from the Box before it’s gone! Once a Box is removed from the game it will be replaced by a new, different Box with a new unique set of cards. If you’re making great progress on your card collections and you happen to draw all the cards from a Box before it expires, then the Box is refilled with the same set of cards again. You can then continue to draw more cards from the Box and Weave more skins! Through playing the game and by opening Boxes you may accumulate Skin Collection Cards that you do not want or need. The Crafting system allows you to create any new cards of your choosing using these unwanted cards. The Crafting menu can be accessed by tapping on any card in the MY CARDS and GET SKINS sections as well as by tapping on the Crafting option in the GET CARDS section. Crafting consumes a resource called Essence to create the new cards. You can get Essence by destroying cards. Destroying allows you to convert any unwanted cards into a quantity of Essence in exchange. Crafting is a convenient way of getting those last few cards to complete a Skin Card Collection, provided you have sufficient Essence. The amount of Essence that is required for crafting a card, and is granted by destroying a card, is determined by the card’s rarity. The table below shows you the Essence crafting costs and Essence quantity rewards for destroying cards. To destroy a card you must tap and hold the DESTROY CARD button to prevent the accidental destruction of valuable cards. The duration of this action is determined by the rarity of the card. The higher the rarity, the longer you have to hold to destroy. If you have trouble making an ICE bundle purchase in Vainglory on your mobile device, please visit Apple’s support site or the Google Play Help Center for any assistance if the problem is related to account or billing issue.